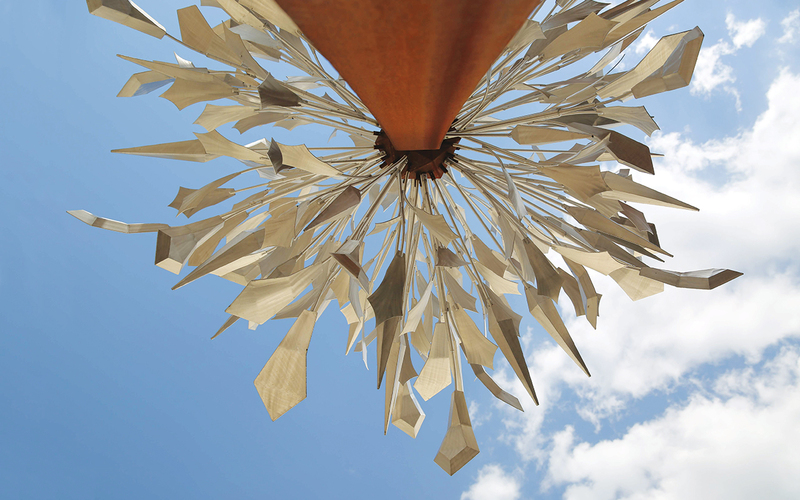 Above: Metallic leaves bask in the sunlight on the sculpture “Alley Blome” by Jake Balcom, one of a collection of public art pieces that have energized alleyways and a courtyard in Marion. “Confluence” by Dan Perry is a 17-foot abstract work based on elements of a locomotive, representing Marion’s heritage as a railroad town. Marion’s annual arts festival is winding down for the day, with vendors packing up their tents on the historic town square. But across Seventh Avenue on this Saturday in May, the party isn’t over. Although rain clouds are rolling in, people are lingering, enjoying drinks on new bar and restaurant patios that spill out into the sculpture-filled Uptown Artway. The towering steel “Alley Blome” stands next to a pop-art-style seating area. Lighted leaf-like sculptures create a colorful canopy across from the Giving Tree Theatre. Even the bicycle rack is sculptural. A new open-container ordinance allows patrons to sip up close to a small stage that’s backed by a highly Instagrammable mural of a young girl surrounded by native birds. The space was once a back-alley parking area dotted with dumpsters and choked with electrical cables, but civic leaders recently reimagined it, creating a pedestrian plaza that is breathing new life into Marion’s Uptown district. 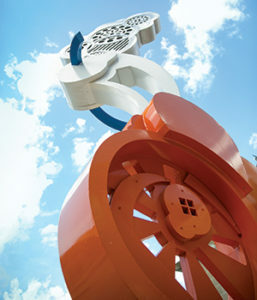 Murals and sculptures by nine regional and national artists established the Artway as a distinct destination. “The goal is to make the quality of life here unequal to anywhere else,” Marion Mayor Nicolas Abouassaly says. Marion’s population grew by more than 30 percent between 2000 and 2010—to nearly 35,000—but he knows a key to continued success is for newcomers to truly connect with the community. “We want them getting engaged, rooted, instead of just sleeping here and doing everything in Cedar Rapids,” he says. 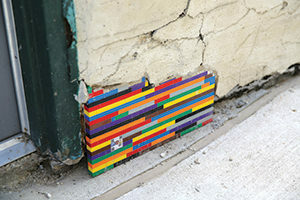 When old alleyway plaster gives way to the crunches of traffic and time, colorful toy “bricks” offer an artistic repair. Uptown Artway is a glowing—literally, if you visit after dark—example of “creative placemaking,” a revitalization process that puts community conversations at its center. The approach is personal. Leaders are asking how they can leverage advances in technology and remote-work policies to bring boomerang Iowans home and appeal to a creative class being priced out of big cities to embrace small-town living. Across Iowa, committed residents are looking to combat towns’ crumbling Main Streets and dwindling populations. They’re connecting the dots between cultural assets, outdoor opportunities and the kinds of events that engage residents and build quality of life. Since 1985, the Main Street Iowa program, part of the Iowa Economic Development Authority, has worked with more than 50 communities to attract and utilize more than $1.7 billion in grass-roots revitalization initiatives. And companies like McClure Engineering are also jumping into the mix, making creative visioning and placemaking part of their business plans to drive regional rural redevelopment. 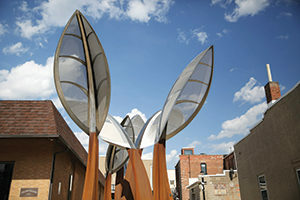 Dramatic stainless-steel sprouts rise from the alley, thanks to Mount Vernon artist Dale Merrill. At night they glow brilliantly with integrated LED lights. Just an hour up the Grant Wood Scenic Byway from Marion, the town of Maquoketa, home to about 6,000 people, is also enjoying a revival, spurred by a new streetscape. Speakers attached to historic-looking lampposts pipe oldies as a spring crowd gathers for a classic car show taking place on Main Street. That’s where the Maquoketa Art Experience (MAE) transformed the former site of Osterhaus Pharmacy into a mixed-use gallery, workshop and meeting space, and home to the city’s Chamber of Commerce. Chairs are still set up from a University of Iowa percussion concert earlier in the week, which was part of a partnership between the community and the university called “Layers of Maquoketa.” The project brings together students from different disciplines to explore the history and possible futures for the community. An annual festival and ongoing performances and lectures connect the campus and residents, including elements that highlighted Maquoketa’s significant Micronesian population. Chris Miller’s “Life Is a Ride” puts bike security in a secure hand. 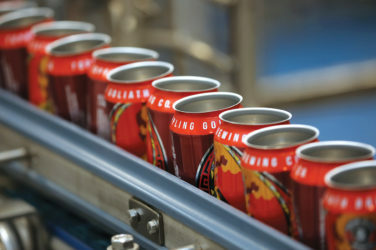 “We had a lot of silos, but through the Art Experience, and Layers, and a different attitude at the Chamber of Commerce, there was a recognition that it’s more important to have a great place to live than to chase a factory,” says Bob Osterhaus, a retired pharmacist and former state legislator who helped drive the project. The Art Experience, which was established in 2008, isn’t the only gallery in town. 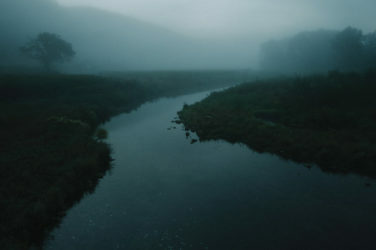 It was inspired by conversations Osterhaus had when sitting for renowned portrait artist Rose Frantzen, whose “Portrait of Maquoketa” project is part of the permanent collection of the Figge Art Museum in Davenport. Frantzen’s family bought the historic City Hall in 1989, and she launched her career from the space. On this particular day, Frantzen is taking a break from painting to install new flooring as part of the Old City Hall Gallery’s ongoing renovation. She and her husband, Charles Morris, exhibit their work in the space and are happy to provide personal tours whenever they’re in town. The creative couple draws inspiration from each other, but they see value in building the community into an art hub, a destination district where artists can build relationships. Morris serves on the MAE board, and Frantzen isn’t above participating in classes there herself. Sue Mayberry, a sixth-generation Maquoketa resident, is another local investor. Inspired by the downtown upgrade, her family spent 15 months transforming a storefront storage space into the charming Farmer Creek Antiques & Wine Bar. Mayberry, a retired teacher, also hosts her own painting and fiber arts classes in the rustic-chic cellar space, and they’ve started hosting live music on Saturday nights. This congruence of timing, grant dollars and civic leadership behind Maquoketa’s rebirth—the city is also home to Codfish Hollow, a hipster music venue inside a barn in the middle of a cow pasture that has hosted music acts from Norah Jones to Nathaniel Rateliff—is vital among successful placemaking initiatives. 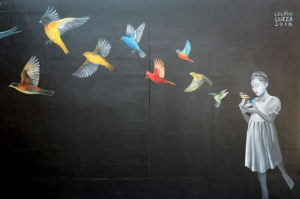 A flight of imagination adds wonder to a 23-foot alley wall behind a stage area in Marion’s Uptown Artway. The mural is “Midnight Wonder” by painter and sculptor Cecilia Lueza. Likewise, in Marion, art made the Uptown district cool, but a shared commitment made it happen. Local leaders cite a common vision and spirit of collaboration—among the city, chamber, grantmaking organizations and residents—as the key components that transformed the space. Marion’s public art master plan dovetailed with a corridor redevelopment plan that recommended creating a more attractive backdoor entrance to businesses before the main thoroughfare was repaved. Adjoining property owners used easements to widen the alley, and a local business volunteered to build a concrete stage. Involvement with Main Street Iowa inspired Karen Hoyt, a retired Marion art teacher championing the project, to seek and win an ArtPlace America grant, which injected $500,000 on top of the city’s $250,000 investment. Grants enabled the committee to hire local and national artists to create new works designed for the space. The project is also driving economic development. Uptown Snug, an eclectic pub that abuts the Artway, is among the $5 million in local reinvestments in the area. The Civil War-era building was crumbling a few years ago, but is now home to a cozy bar with loft living above, and high-end condos are popping up down the street. The Marion Chamber of Commerce estimates 85 percent of the buildings around the Artway have now changed hands or undergone renovation, making way for shops like Scout of Marion, a delightfully curated gift boutique owned by Nikki Kettelkamp, who left her career with Chanel to open the business this past April. She peeked in the windows and was inspired by the space’s beautifully patterned tile floors, and the encouragement from her longtime friend Jennifer Hansen, the late owner of Eden in Des Moines, persuaded her to pursue her entrepreneurial dreams. But placemaking isn’t just about putting public art where it isn’t; it’s about using art as part of creative solutions to local needs—like changing demographics, a deteriorating housing stock, challenges around access to healthy food, and transitioning away from a retail economy. “Arts and cultural strategies can be powerful forces in addressing these kinds of challenges and providing new opportunities for people to participate in creating equitable, healthy and sustainable communities,” says Lyz Crane, deputy director of ArtPlace America, a national initiative involving 16 foundations, eight federal agencies and six financial institutions to position arts and culture as a critical part of community planning and development. “The [Uptown Artway] team saw how valuable it can be to prototype and experiment with the public realm to figure out what people actually want and what will keep them engaged in a space and feeling like they are experiencing something special. As inspirational as the Uptown Artway project is, not all initiatives need to start at that scale. Injecting value into the civic, social, economic and physical space in a community can start on a street corner. “A bench is not placemaking. But add a table and chessboard and you’re on your way,” says Michael Wagler, Main Street Iowa’s state coordinator. Wagler has helped dozens of communities—large and small, rural and urban—take on placemaking initiatives. Main Street emphasizes the process over the project and recognizes local ownership of ideas as key. “Primarily what we want to do is build capacity at a local level so [communities] can revitalize themselves,” Wagler says. Main Street Iowa provides long-term technical assistance as they create the space, manage it and program it. 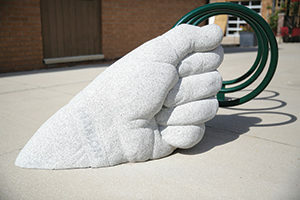 Wagler sees creative placemaking as a more sophisticated iteration of “The World’s Largest Ball of Twine.” Hokey roadside attractions once reflected the efforts of communities to give themselves an identity and stand out from other towns along the road. But they lacked a key element central to today’s placemaking: an invitation to interact. Rural communities like Stanton in southwest Iowa—formerly of giant coffee pot and coffee cup water tower fame—are now moving toward creative placemaking in search of ways they can leverage their assets to draw young families and businesses. Business leader Kevin Cabbage, CEO of Farmer’s Mutual Telephone, coordinated a regional initiative to contract with McClure Engineering to develop a creative visioning and business plan. 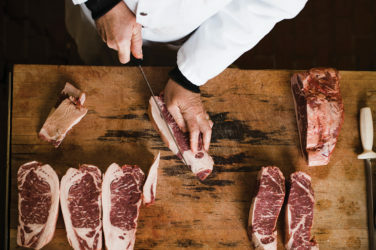 As the result of a public process, they’re hoping to renovate a downtown Masonic lodge to include upper-story living, convert a vacant Main Street building into a sports bar and grill, and develop a refrigerated locker system for easier access to groceries. The plan also calls for public art, building out a walking trail to better connect to Viking Lake State Park, and maybe even converting a lumberyard into a makerspace with a 3D printer and other communal DIY tools. Involvement was key for Marion, where Hoyt is helping lead the second phase of visioning. “Imagine Next” has already generated 3,000 ideas post-Artway through community engagement brainstorming.